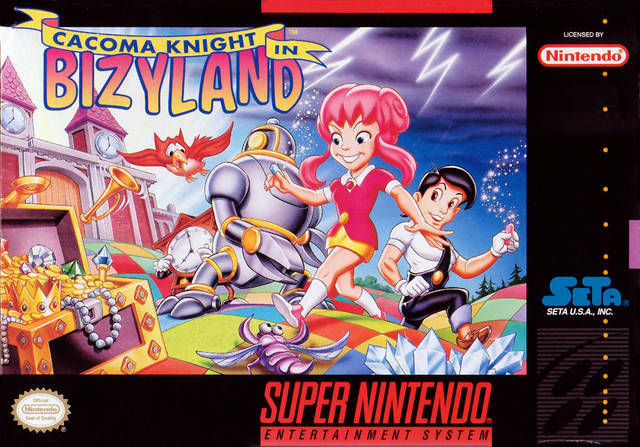 Cacoma Knight in Bizyland for Super Nintendo has you called upon by King Cacoma to use the magic chalk to save the Princess and the Kingdom from Queen Wagamama. Play as one of three characters in seven stages with over 21 rounds. To win, you must draw circles around sections in the Kingdom in order to release them from the Queen.